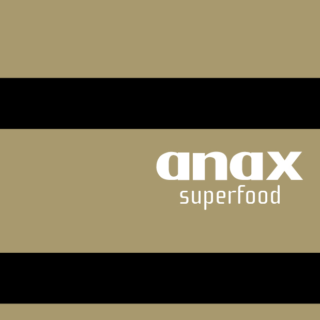 ANAX Superfood Aronia Berry is a 100% natural product with Greek wildflower honey, aronia berry, Ceylon cinnamon and Chios mastic. A spread with a unique exotic taste. 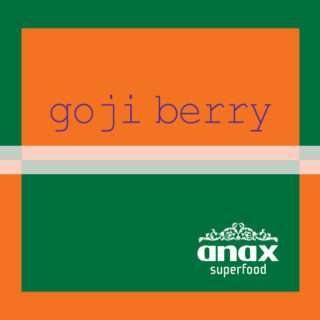 Aronia berry, is undoubtedly the healthiest fruit in the world. A fruit incomparably rich in vital polyphenols (vitamin P), vitamin C and other vitamins as well as several trace elements (A, B1, B2, B3, B6, B9 R, R, R). 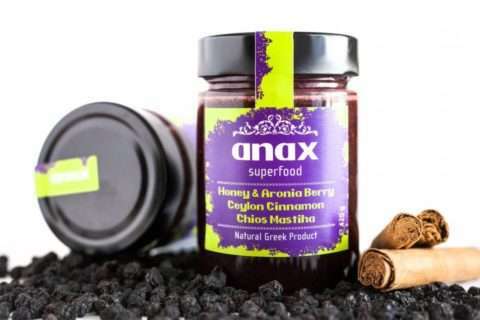 Aronia berry is a natural source of pectin, a substance that has the ability to bind radioactive residues and heavy metals. For instance, employees in nuclear plants and cosmonauts prior to a space mission consume aronia berry as a measure of precaution. 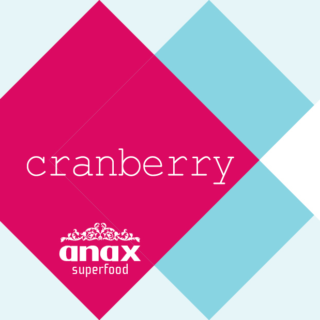 Reduces levels of oxidant stress and combats the free-radical formation. Wildflower honey is made from the fragrant pollen of trees, bushes, flowers and herbs near the beehive. 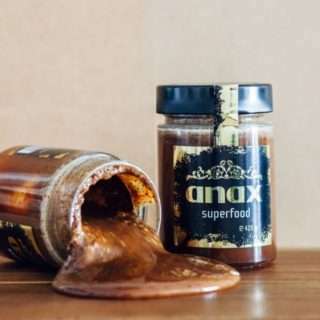 Undoubtedly, it has the sweetest flavor of all other varieties of honey in Greece. It is rich in minerals and contains potassium, magnesium, calcium, sodium, sulfur, iron, iodine and zinc. With antibacterial and anti-inflammatory activity, Chios mastic offers protection against stomach problems, peptic ulcers, high cholesterol and high blood sugar levels. 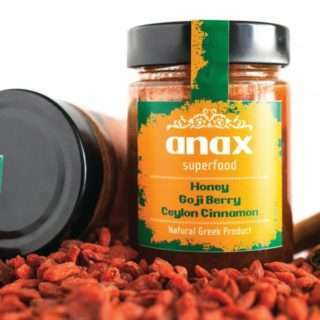 It also has a beneficial effect against atherosclerosis and heart disease. Thanks to its pleasant fragrance and antiseptic action, Chios mastic removes food residues from teeth contributing to oral health.